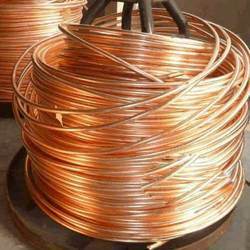 Exporter of a wide range of products which include enamelled round winding wires, copper tubes and copper rod. Known in the market as a trader, exporter and supplier, we are busy in presenting Enameled Round Winding Wires. 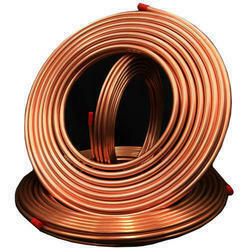 The presented winding wires are processed by using best quality copper and latest machinery under the direction of vendor’s proficient professionals. These winding wires are thoroughly checked on diverse quality parameters by vendor’s quality inspectors. Additionally, we provide these winding wires to our valuable clients at low rates. We have been effectively gratifying the diverse needs of our clients by providing a defect free gamut of Copper Tubes. The offered tubes are processed by using best quality copper and latest machines under the direction of vendor’s proficient experts. To fulfill the needs of patrons, we offer these tubes in various stipulations. Additionally, these tubes have achieved broad appreciation in the market because of its features like. 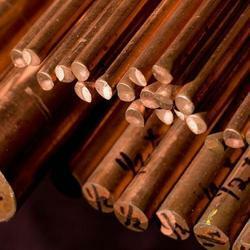 We are the presumed trader, exporter and supplier of Copper Rod. The offered copper rod is processed by using high grade copper and advance tools under the direction of vendor’s proficient professionals. Our rod is highly praised for its attributes like durability, smooth finish and long lasting. Our offered rod is available in different stipulations for gaining varied needs of the clients. Additionally, we present this rod at reasonable rates.